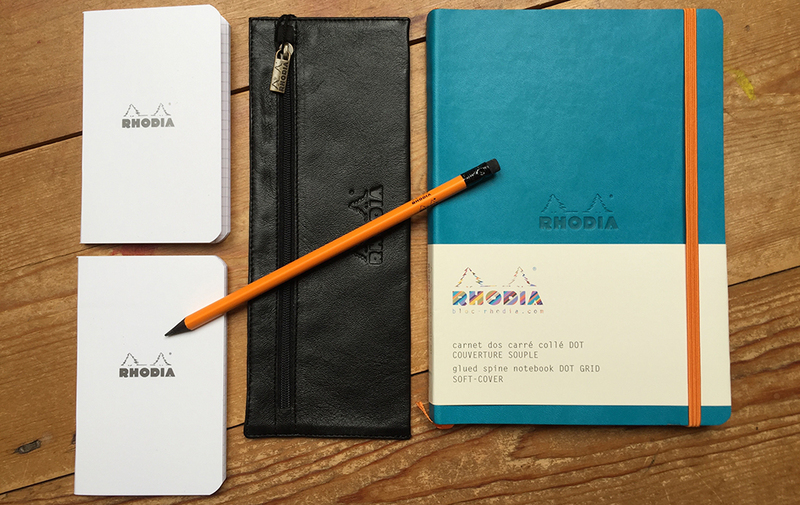 We took a different approach to the theme for our July stationery subscription box and concentrated on a single brand – Rhodia. Part of the Clairefontaine group, Rhodia is a French brand and is renowned for using one of the very best quality papers available, with excellent results for fountain pens. The collection included a soft cover A5 dot-grid notebook, a soft leather pencil case, two pocket-sized squared paper notebooks, a graphite pencil and our premium illustrated postcards. This box was very popular and sold out quickly, but you can subscribe to our next box and treat yourself to a beautiful stationery surprise!